group booking must notify us in advance, number of female and male. This is to enable us to provide the rooms accordingly. Any special request can be forwarded and we will try to accomodate. 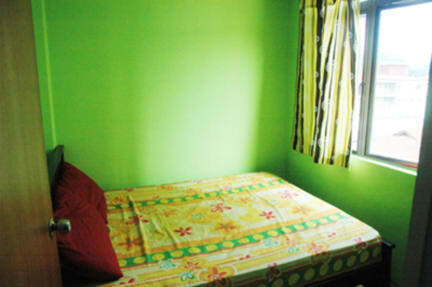 Groups must take care the cleanliness and adhere to the terms and condition of the hostel at any time. We will only accept a group of 20 people max. Central Lodge - Newly renovated with Tiles Flooring for whole area including rooms. The best located Guest House in Kuala Lumpur -200 meters from KL Sentral Station - the Transit Point from KLIA / KLIA2. We offer quiet, comfortable, clean and safe stay. Our rooms are equipped with air conditioned/ fan to suit your budget. It comes with free basic breakfast(Coffee, Tea, Toast,Butter,Jam,Cocunut spread). ROOF TOP FOR SUN LOVERS IN DAY TIME AND BEER GARDEN AT NIGHT.....Grab some beers at the reception and chill out on the roof top.Beautiful nice view and naturally windy and cooling. We cater for individual and group booking. At our door step you can find main facilities like 7 eleven, Bank, Post Office, Pharmacy, Old Town White Coffee, Shopping Mall - Nu Sentral, KFC, McDonald, Local Restaurants and Food Stalls (best Indian food-Banana Leaf, Chinese and Malaysian food), Money Changer, Clinics, Indian and Western Music (Pubs) and many more. Although this is a very basic hostel, it has many features often missing in more upmarket ones in Malaysia. For example the toilet had soap and a hand towel, there was a water dispenser with hot and cold water (though you pay to fill your water bottle), and a basic breakfast of white sliced bread/toast and jam. The wifi was excellent when I was their but the hostel seemed not very full. The big downside, if you have a wheeled suitcase is it is on the 4th floor and only 2 floors have a lift. Great staff, who was extremely helpful and friendly. He gave us plenty of advce and was generally a good chat. There is a small baby kitty that is the cutest and most furious little thing. Say hi to him if you see him :) Overall good experience and great location near-by to the main station that allowed us to move all around the city. Highly recommended! 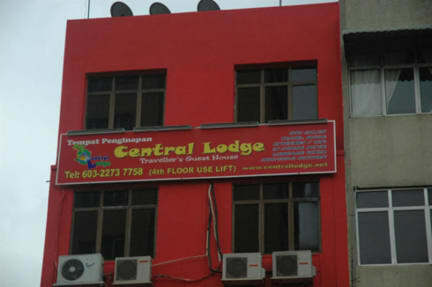 Convienient hostel located opposite Sentral Station with an easy commute to the airport and all attractions in the city. Basic facilities, friendly staff and a breakfast which is always a bonus. Wouldn’t recommend a long stay here or staying if you want to meet other travellers / party. P.S the hostel cat is currently pregnant and a bit feisty. If you have to stay just a night in KL this hostal is ok because it’s located next to KL central station, but I will not recommended if you want to meet other travelers etc. I saw a rat or a mouse scuttling into a pipe. The entrance is unexpected environment as the Karaoke on the ground floor. So they did not allow me to use the lift there. I had to carry my luggage to climb up the stairs to Level 1 and then the lift stopped at level 3, not the hostel level, so I needed to climb up one more level about 30 steps with my big luggage. The bed sheets are not so clean and tidy. The mattress and room are old and a bit smelly. The floor/lockers/windows were dusty and not clean at that time. I cleaned by myself. The shower is a hole in the floor of the tiny toilet. All is dirty bed sheets included, all old, need a big refurbishment everywhere, old beds with springs that go in your back. No lift from the ground floor to 1st floor, the door key was not working I had to call,I slept 1night but paid 3 and then I left to go sleep somewhere better. The area is not nice since is little india, very old buildings, all works in the street going on, not nice area. Plenty of other hostels for a few dollars more that are far better, not worth it at all. Disgusting customer service and facilities! I've stayed in a LOT of hostels and this was the worst.